This is bad news if you are a purchaser but great if you want to rent a millionaire’s pad for a reasonable price. 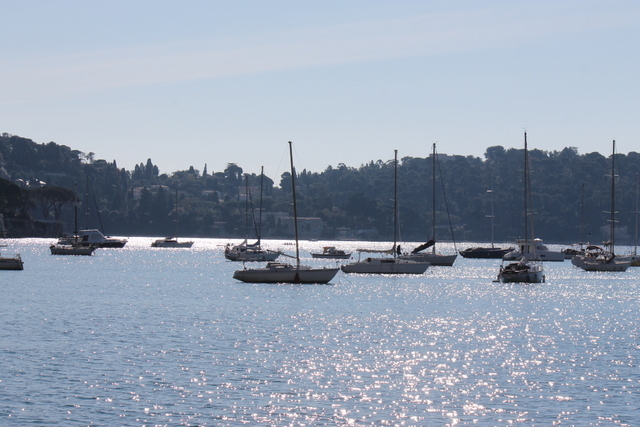 Properties in Villefranche sur Mer sell for between 10,000 and 12,000 euros per square metre. The flat we rented was 140 square metres, it was right on the sea front, in an unsurpassed position, so taking the higher end of the scale, it would sell for 1.65 million euros. In high season you can rent the apartment for 2268 euros a week. Quite a lot of money you might think. Until you look at comparable prices for villas in Provence. A Luberon mas with a similar price tag would rent for well over double. The moral of the story is if you are buying and want some investment income plump for inland, as a holiday maker looking to rent don’t ignore seaside apartments. The prices just might surprise you. Wine – Anything but a good year….